Passionate about people, the environment and about championing agriculture in modern times, Homegrown Foods partners with local organic farms to deliver fresh, seasonal produce straight to your door. As well as their signature subsciption boxes, which include the best of what's in season, Homegrown Foods also stocks a specially curated selection of groceries including almonds from Afghanistan, high quality olive oil and balsamic vinegar, even eco-friendly bath and beauty products. Shopping for healthy groceries in Hong Kong can be time-consuming. But now, rather than hopping from one shop to another to find exactly what you're looking for, you can get it all done at The Store. Here, you can find vitamins, superfoods, personal care items, organic groceries and sports supplements. There are even sections dedicated to babies and kids' goods so you can rest assured your bubs are getting only the best. Best of all, it all comes delivered in recyclable packaging, and if you order before 2pm, your package can be delivered on the same day if you live on Hong Kong Island, Kowloon or New Territories. If provenance is something of importance to you, look no further than 178 degrees, which specializes in quality produce from New Zealand. The selection may be smaller than most online grocers, but for good reason. Each product comes with a detailed description about where it comes from, why that matters and why it’s good for you. The owners carefully select their suppliers, personally visiting the farms and meeting the owners to understand the philosophy and integrity behind each product—from manuka honey to tea, stunning jet-fresh meat and seafood, including king salmon caviar. Originally created by three mums, Eat FRESH delivers organic fruits and vegetables that are all HKORC-certified and undergo annual testing. The produce is farmed in New Territories by organic farmers, whose individual stories you will find on the Eat FRESH website. 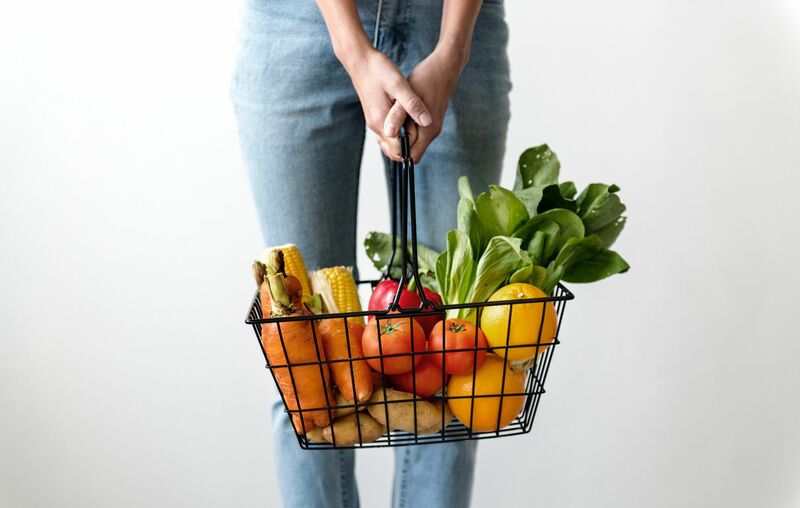 You can shop for fruits and veggies a la carte, or opt for the subsciption box for the farmers' pick of seasonal goodies. The website is also great for recipes such as dragonfruit vegan gelato, tagliolini with mixed vegetables, charred eggplant dip and so much more. The plant-based movement may be going strong, but omnivores gotta eat too. When it comes to eating meat in modern times, it’s all about making smarter choices; think sustainable wild-caught seafood, free range chicken and grass fed beef and lamb that have been approved by Meat Standards Australia. Combined with specialty online wine store My Wine Man, My Meat Man is a one-stop shop for dinner parties, BBQs or simply a happy, healthy kitchen. Jou Sun takes the chaos out of hunting through endless stores and market stalls for quality produce in Hong Kong. This family-run online groccer is based in Wan Chai, just steps away from many of its trusted suppliers; from the best local organic produce fresh from the market to Eric Kayser's famed loaves of sourdough, speciality gluten-free items, sustainably sourced meat and seafood and more—most of which you'll find at wholesale prices. If you love Spicebox Organics' stores in Mid Levels and Kennedy Town, then you'll find paradise on their online store which boasts over 1,000 products.